I really do feel like I’m a Trailblazer. I was given an opportunity, I took it, and I ran with it. Now I want to inspire other people to come join me. When did you first encounter Salesforce? I was a bank teller trying to finish college and raising my son when I thought to myself, there has to be something else out there. Through a nonprofit called Year Up, I got an internship at the Robert F. Kennedy Center for Justice & Human Rights. Initially, I was going to be an IT generalist (a lot of crawling under desks) but once there my manager said, "Move all that stuff to the side. This is Salesforce, learn this. You'll thank me in a couple years." Right away, I didn’t want to work on anything else. 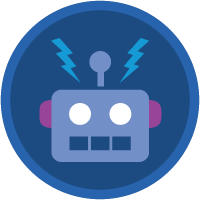 What motivated you to start learning online with Trailhead? What keeps you coming back? 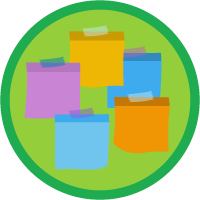 What is your biggest win thanks to something you’ve learned from Trailhead? Just getting my first certification felt like such an accomplishment. 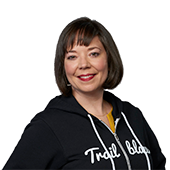 By showing me the ropes and doing it in such a fun accessible way, Trailhead helped me achieve my goal of becoming Salesforce Certified. I have a few certifications now, but getting that first one felt amazing and certainly gave me the confidence to continue. You never forget the feeling of passing your first certification. I go back to speak to the current Year Up students regularly. Because I remember what it’s like to be in their shoes, I can help show them that it’s possible to reach their goals. I talk to them about Salesforce and Dreamforce and they get excited say, “Woah, you've been there?" I'm able to let them know that yes, I’ve been there and they can too, if that’s what they want for themselves. 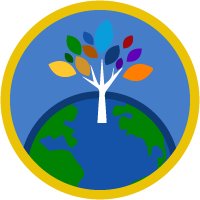 What does the Salesforce community mean to you? Salesforce is like its own movement. People are so giving and so kind. You can't really explain it, you have to see it in action. At Salesforce, the community is part of the process. Not only is the community supportive of each other, Salesforce is supportive of the community. They're really interested in feedback about the platform and Trailhead. If you have ideas, they'll actually listen. It means leading by example and making the way for others to follow the path to success. I really do feel like I’m a Trailblazer. I was given an opportunity, I took it, and I ran with it. Now I want to inspire other people to come join me. Just be curious and don’t let challenges hold you back from trying new things. Never put limits on yourself, the outside world is trying to do that to you already. Technology is always evolving so you have to evolve too. Be a person that likes learning and who asks, "What's the next thing?" With Salesforce, you can take yourself wherever you want to go. Salesforce skills are crucial for getting your foot in the door of so many businesses. How has Salesforce impacted your life? 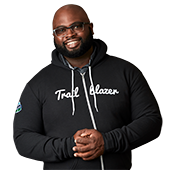 I went from not knowing anything about Salesforce to being a successful Salesforce consultant in only a few years. I have a job that I love, and every day I’m able to help people do business better. There is no other platform out there, or any kind of job that I can think of, where I could've grown so much in such a short amount of time. With Salesforce, the tools to learn are right at your fingertips. 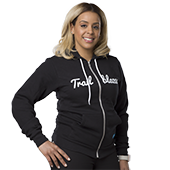 If you want to build a career in tech, Trailhead is the right there to show you how. 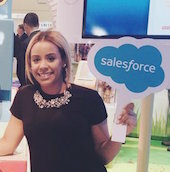 Why should people look into careers in the Salesforce ecosystem? Salesforce opens up so many opportunities at such a variety of companies and nonprofits. You're not just stuck with one thing. For instance, if you study something with healthcare. Okay, you're going to work in healthcare, that's your specialization. But with Salesforce you can work in healthcare, the financial industry, schools, startups, anywhere! There's a need for Salesforce talent across the board, so you're never tied down to one region or industry. What's your favorite place in nature? What music do you to trailblaze to? Who's your hero, real or fiction? 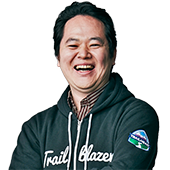 The joy I find myself having on Trailhead reminds me of when I first started learning to code over 10 years ago. Salesforce has allowed me to transition our IT department into an innovation driver who gets to say "yes" more than "no" to new requests.